Sorry this one is a little late. I hope you all had a safe and happy Halloween. 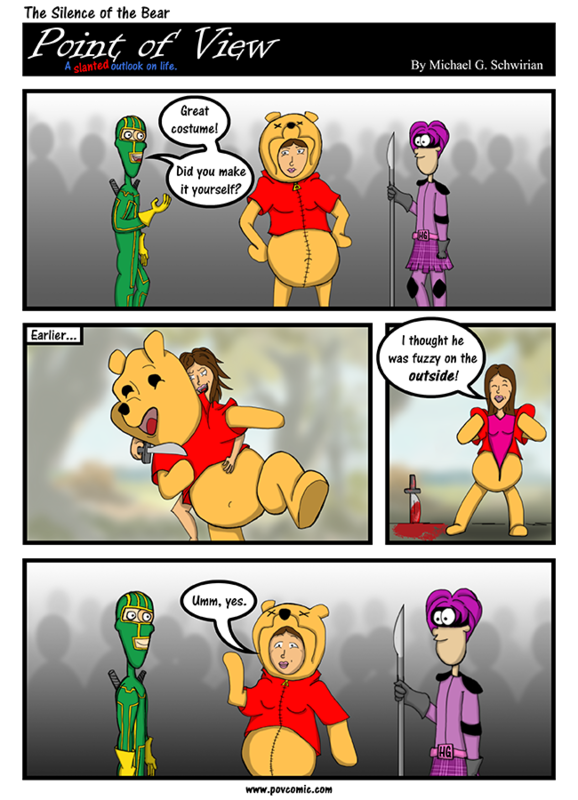 Today’s comic was inspired by my wife’s Winnie The Pooh costume. She pulled it out of the package and put it on and exclaimed “It’s so fuzzy” The image of her crawling into Pooh Bear’s skin was just too amazing not to share.